The Science Goddess mentioned Fresh Photons over at What it’s Like on the Inside and when I visited I immediately added this site to my Google Reader. Fresh Photons posts a varied collection of science images, comics, photographs, etc from multiple science disciplines. The site seems like a great source of engaging images to be used in a presentation, workshop, meeting, or class. 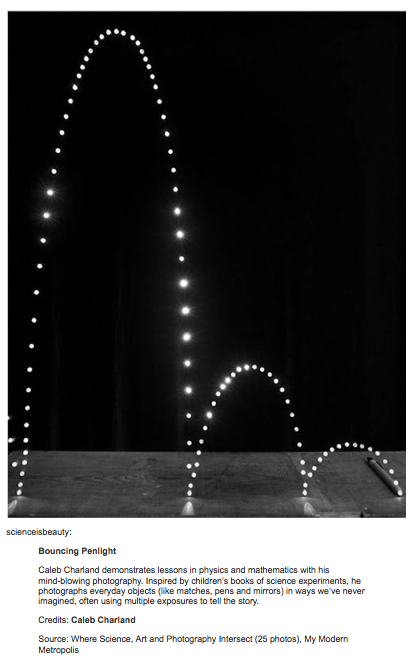 The Bouncing Pen Light, below, is an example post. This entry was posted in K-12 General Science. Bookmark the permalink.